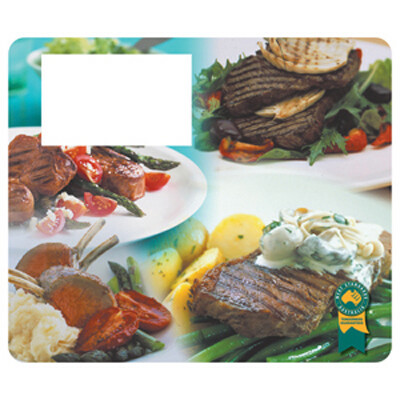 Features: PVC sheet that is either screen printed for spot colour or uv offset printed for graphics. Rigid optical PVC with a 1mm natural rubber backing. Product Size: 230 x 195 x 1mm (rectangle). Print Area: See PDF on web site. Print Process: Screen or UV offset print. Delivery: 3-4 weeks on indent from art approval. Standard Packaging: Bulk. Packaging Option: Individual poly bag pack add. Packing Details: 200 pcs per carton, 12 Kgs, 31x45x39 cms. Setups: Included.